The idea for this blanket started when I was pregnant with my daughter. I wanted to knit a baby blanket in a simple pattern that still holds interest, with bold colors. I’m not into pastel ‘baby’ colors. As soon as we found out we were having a girl, I knew it had to be purple! I found a simple ribbed chevron pattern, and started knitting. 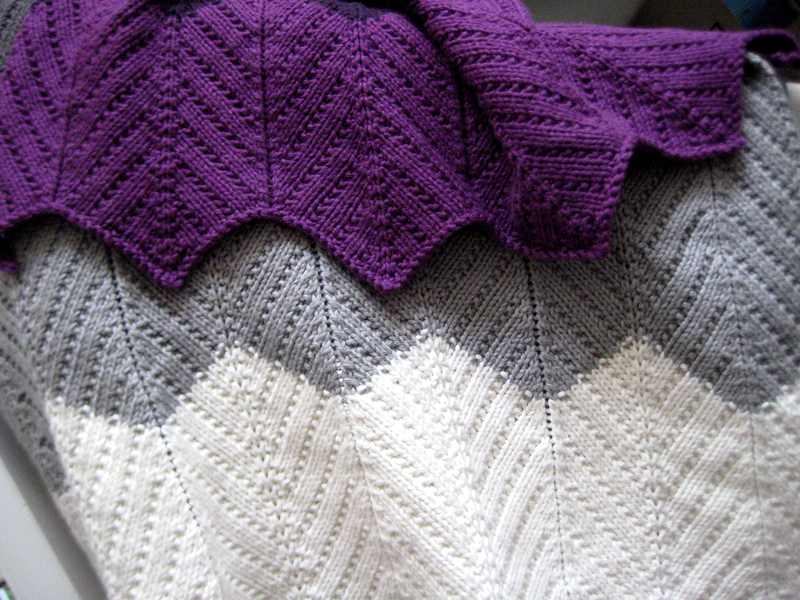 The beauty of this blanket is that both the right and wrong side of the chevron pattern are lovely. There’s no ‘wrong’ side, really. 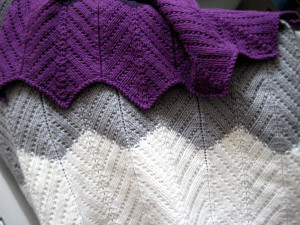 Knit Picks Comfy is a fantastic cotton/acrylic blend that has great stitch definition and washes easily. It’s a baby blanket, it needs to be able to handle the washing machine! This pattern is great for beginners who wish to master their increasing and decreasing. Eloise is available for purchase here.